9pm. Not exactly a ‘Fight Night’ but this is my first late boxing session. The day ran away from me, I got delayed, then delayed again – all the time I’m thinking “When am I going to fit the workout in!?”. Sometimes its tough, I’m sure they’ll be days when I don’t make it – but today wasn’t one of them, especially for #MotivationMonday (I’m down with the kids on Twitter:)). Glad to have ticked this one off. I included the photo above to illustrate a potential problem with a ‘swinging bag’. 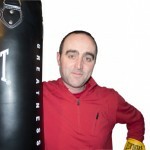 The photo is perhaps a little extreme, but you can see my punch bag is obviously a bit on the light side. It’s an Everlast 4ft Bag and weighs 24kg. In hindsight I should have listened to Steve and bought a heavier bag. I’m only saying this now because he’ll take great delight in saying “I told you so”. What I’ve noticed. 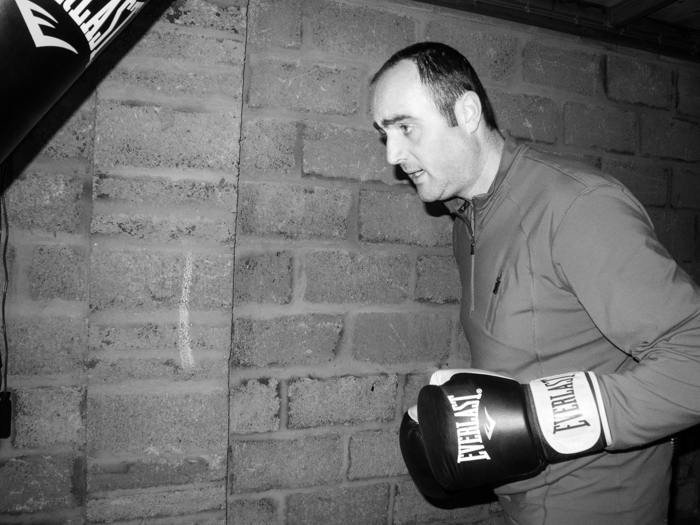 If I throw 4 rapid body punches it’s fine, by the time the bag has comeback to me – I’m ready for the next 4 – that works well for me. It starts to push away a bit too far for 6 punches, but nothing drastic. A left jab then hard right cross can be more problematic – it sometimes swings after the cross (depending how strong or angry I’m feeling at the time). I don’t really want to wait around, so I combat this by throwing another snappy left jab – just enough to stop the momentum, so I can continue with the next combination. I’ll give you some more feedback on Wednesday for today’s workout – Technique 3 (Long Range).